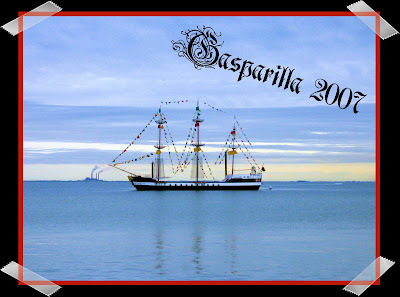 Every Year we hold a Parade here in Sunny Florida known as: Gasparilla! I practically live in the heart of it, just up the street to be exact. I've been to quite a few...you seen one you seen em all, thats what I say :) I usually go in the opposite direction of the parade to avoid the crowds and the traffic! 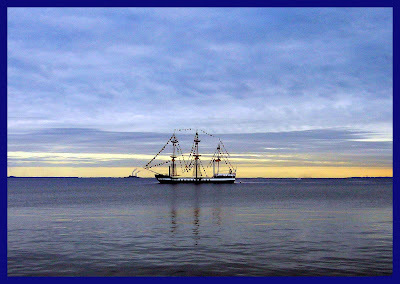 The picture above is of the renowned Gasparilla boat that holds the Pirates of Gasparilla. There are two Parades, one for adults and one for children. The boat was left in the bay during the week so I got front row seats and I also took some spectacular shots! rebecca? you are welcome to add me to your blog listy thingy... and how sweet of you to ask...i haven't ever asked anyone, i just add them...is that rude? well, i figure, if i like it, i like it and it's my blog...i'll be back to visit, gotta go clean out the fridge and then a movie with hubby.